Postage UK - £1.74 Europe - £5.15 Rest of the world - £7.45 *Please select the correct delivery area to avoid delaying your order. Concern about the increasingly sedentary lifestyle of young children is reaching unprecedented levels. Around a third of British children are overweight, reflecting the decline of traditional outdoor pursuitsin favour of electronic games and television. A raft of studies show that the early years are a crucial window of opportunity during which the brain is primed for learning through exercising the body and the senses. 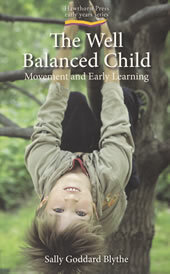 Yet children of today have less movement opportunities in their daily lives than any previous generation.